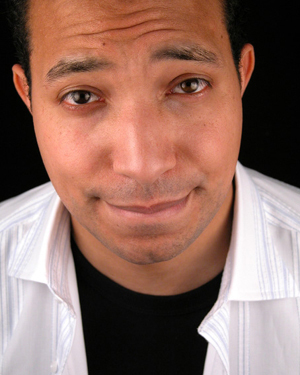 Doniert Macfarlane is a talented stand up and character comic. Resident compere of the Oval Comedy Club, as well as gigging regularly on both the London Circuit and around the country, Doniert is bringing his first solo show to the Edinburgh Festival 2004. Entitled Doniert Macfarlane  Colin Montgomerie stole my life it is a fun filled 55 minutes of stand up, interactive video sketches and character comedy. Audiences will meet Aussie Rules Footballer Dunny Tyler, learn performance arts from Michael Hunt  showbiz talent spotter, get golfing tips from pro Golfer Hugh Jahss, and see Bolton Bob, the reluctant 57 year old batchelor, in action. Also on show will be interactive video sketches where PC Iam Telling and Tito Fuente - Brazilian pop star can be seen. Doniert started stand up in November 2001, within a few months he reached the Laughing Horse Final 2002, and the BBC new comedy awards regional final. He is also a doctor, and gave up stand up for a year whilst he concentrated on passing his surgical exams. He resumed gigging in November 2003. Since then he is much in demand as a high energy compere and stand up act. His filmed sketches in character for Edinburgh are already attracting interest from television production companies.